Welcome to Simple Real Foods Market! We are your healthy full line grocery store… online! We make eating healthy and convenient with three easy steps to have your groceries delivered directly to your door. We offer a huge selection of only non-GMO food products, beverages, supplements and vitamins, non-toxic beauty care, natural care and home care items, as well as pet supplies. All of our products are non-GMO products, natural, and organic. We believe that everyone should have access to great food at affordable prices! We have a LOW PRICE GUARANTEE. In addition, subscribe with us today to find out about our additionally amazing weekly promotions. It doesn’t have to cost your whole paycheck to get clean foods! 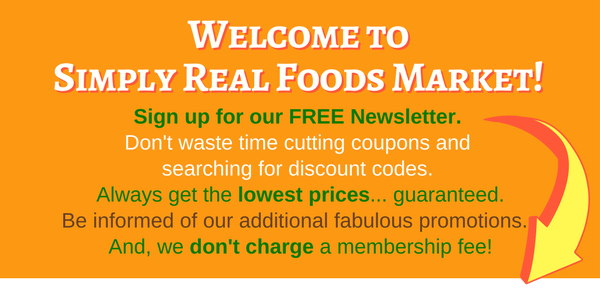 What make shopping at Simply Real Foods Market even more awesome… there are NO MEMBERSHIP FEES and NO MONTHLY SUBSCRIPTION requirements… just order what you want, when you want! Ordering your food is simple. 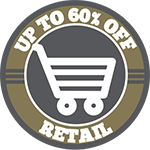 All you have to do is get onto our website, and start shopping. Choose from a variety of food staples, snacks, beverages, supplements, beauty personal care items, cleaning supplies, paper products, baby and kid products, and pet foods for dogs and cats. DIETARY NEEDS? We carry an array of products specifically formulated for dietary needs as well, simply use our awesome Dietary Filter located at the top of the page. Our staff will carefully hand select and package up all of the items that you have selected, once your order has been placed. We package all items with care so that they are not damaged during transit, in recycled boxes, and biodegradable packaging! Forget the hassle of hitting the grocery store, and waiting in long lines. Once we have packaged up your selective order, we will have it delivered directly to your front door. So what are you waiting for? Take the hassle and expense out of shopping with Simple Read Foods Market!